10 Ways To Sneak Alcohol Anywhere! There are many different ways to sneak alcohol into festivals or onto cruise ships. Why do people sneak booze? Well there’s alot different reasons. For some it’s because they don’t want to stand in line, for others its to help save a few bucks. Everyone has there reasons. I’ve never personally snuck alcohol into anywhere but there are times when I can say that I wish I had. This post is going to show you some pretty awesome ways to sneak alcohol anywhere. In a Hurry? You can find the best Booze Sneaking Products HERE. When you take a cruise there is one thing that you can be certain that everyone on the ship is going to have. Sunscreen. So no one would suspect a thing when they see a few tubes of sunscreen in your bag. 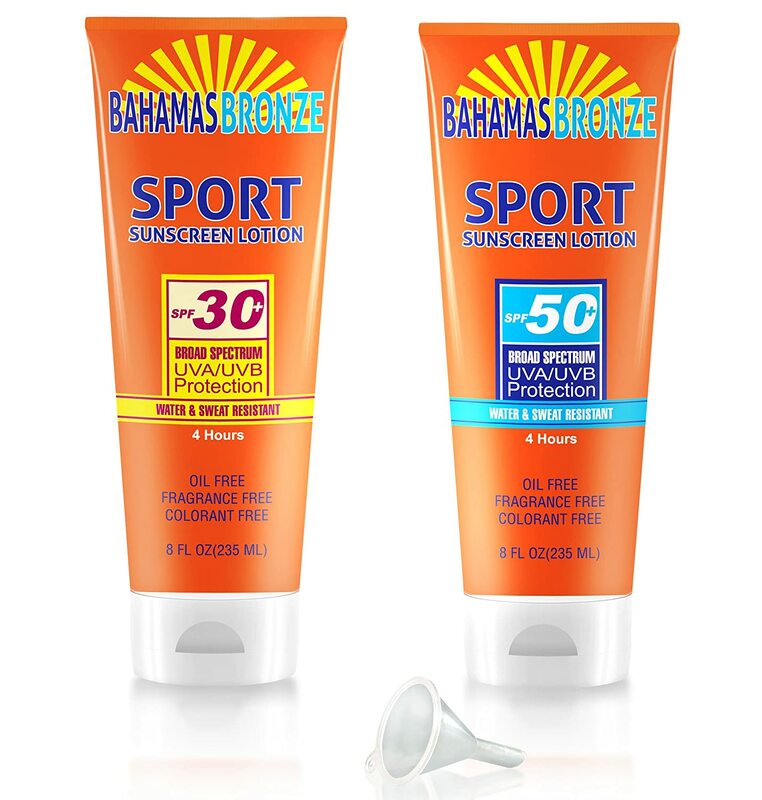 Little will they know that these sunscreen tubes are actually sunscreen alcohol flasks that hold 8 ounces of booze a piece. The first thing I thought of when I saw these shampoo flasks is that they would be perfect for sneaking alcohol onto a cruise ship. 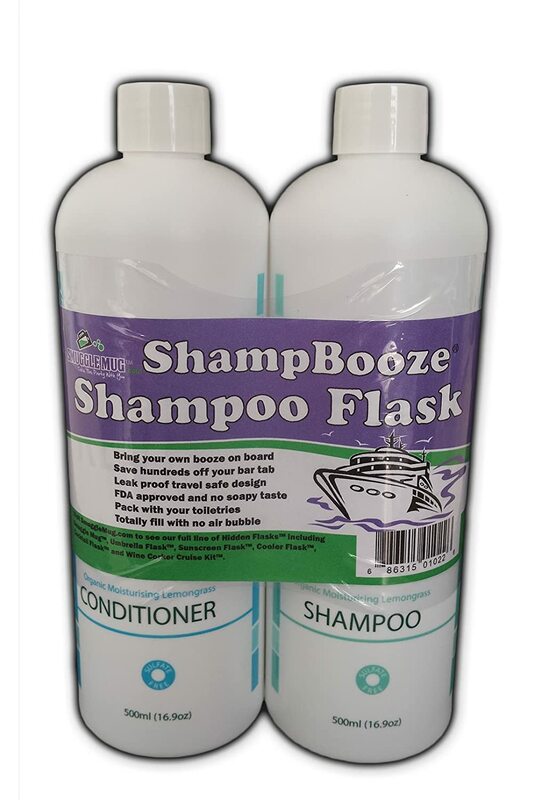 No one would suspect that you have two huge containers of booze with these shampoo and conditioner containers. Plus they are around 17 ounces a piece! This could easily save your hundreds off your bar tab when cruising. This one is more for the ladies but these fake tampon shot flasks could easily allow you to sneak your booze anywhere. They are small enough to fit into your pockets. FULLY ENGAGED STEALTH MODE! Your secret flask holds 14 oz. and can easily be a hidden flask in a cooler, bagged lunch, or even the work freezer. SECRET FLASK IS GREAT FOR coolers, bagged lunches and freezer shelves. Bring your hidden flask to the beach, to concerts in the park, the fishing boat, anywhere you might get a little thirsty. Just about everyone I know has a camera so you definitely wouldn’t stand out with this portable booze camera. It’s great for sneaking alcohol into concerts and sporting events! The camera holds 5 fluid ounces and boosts that it’s undetectable to metal detectors. Ok this one is a little more humorous but still if your willing to put on the beer belly you could easily smuggle in 80 ounces of beer or your choice of beverage. These binoculars would be great for sneaking in alcohol to sporting events. T binocular double flask will hold two 8oz. servings in two separate compartments saving you tons of money and the hastle of waiting in long lines in between innings. And since the binocular double flask has two separate compartments, you can bring two different kinds of alcohol with you, or use one side for a mixer like fruit juice or soda. Great for hiding alcohol at Concerts and Sporting events! The best thing is this brush is actually a fully functional hairbrush. It holds 6 fluid ounces and is undetectable to metal detectors. Another great way for ladies to hide booze. This is fully functional handbag with built-in 28 oz. (830 ml) flask completely disguised in the bottom of the bag. There is a hidden pour spout on the outside of the bag. You can easily fit all your essentials like wallet, makeup bag, phone, keys, Bev-Brush and more. There you have it! 10 Ways to sneak Alcohol anywhere. I’d love to hear some of the ways you’ve snuck alcohol. Leave me a comment below and tell me. Small Disclaimer: Be sure to use your head when deciding on whether or not it’s ok to hide your alcohol. Some places it’s illegal to smuggle in alcohol and if you are caught then you will have to pay the consequences. Be sure you research local laws. And PLEASE remember to consume alcohol in a responsible and safe manner and this is for all you people 21 years and older because if you are younger than that, you shouldn’t be drinking! So now on with the 10 Ways to sneak Alcohol.